Laquer black finish on the barrel. 24Kt gold plating trims and brass components. 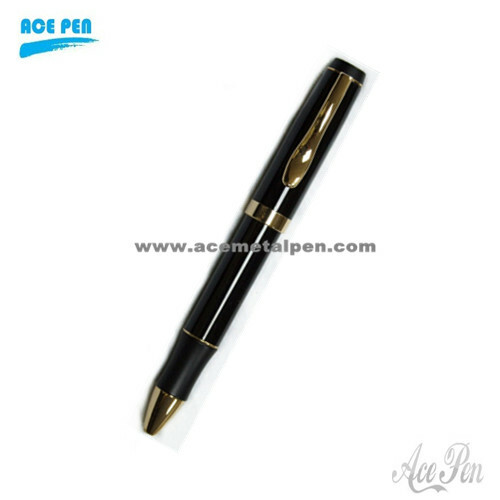 Our writing instruments include metal ballpoint pens, Roller ball Pens, Fountain pens, touch pens, leather pens, wooden pens, Acrylic pens, Carbon fiber pens, Mechanic Pencils, gift pen sets and pen kits and more. We also have pens for gift sets, which include either twin pens in a set, or pens with key rings, wallets, or letter openers in a set. We guarantee quality, service and price. Our mission is to ensure that every customer is getting right quality in right price.